Alex Maguire never thought he'd go home again. 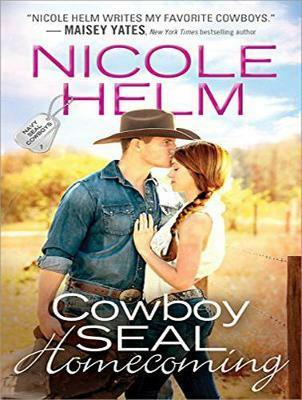 The perfect soldier, the perfect leader, he's spent his whole life running away from Blue Valley, Montana-but when a tragic accident bounces him and two of his men out of the SEALs, there's nowhere left to turn but the ranch he used to call his own . . . and the confusing, innocently beguiling woman who now lives there. Becca Denton's like nothing he could have imagined. She's far too tempting for her own good, but when she offers to help turn the ranch into a haven for injured veterans, he can't exactly say no. He'll just need to keep his distance. But something in her big green eyes makes Alex want to set aside the mantle of the perfect soldier and discover the man he could have been . . . safe and whole within the shelter of her arms. Contains mature themes.